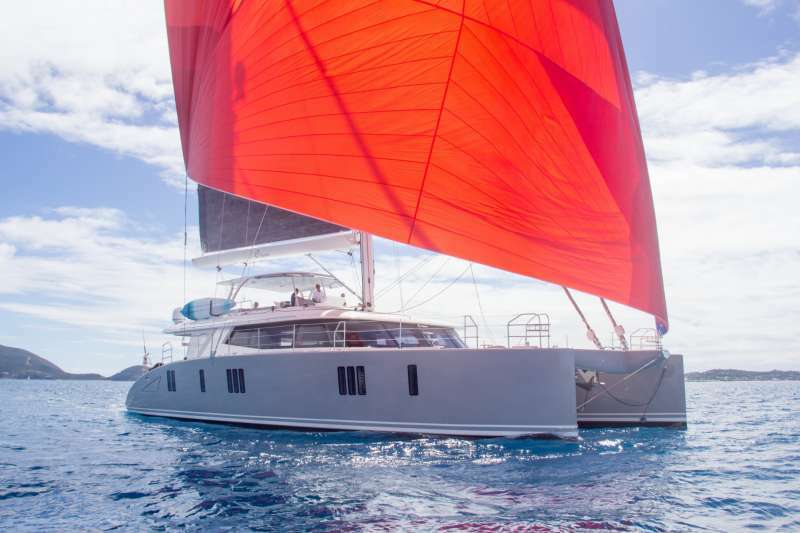 A 2017 launch, luxury catamaran ORION is a top-tier charter yacht that is flawless by design and boasts a trifecta of bold styling, spacious living areas, and impressive seaworthiness. 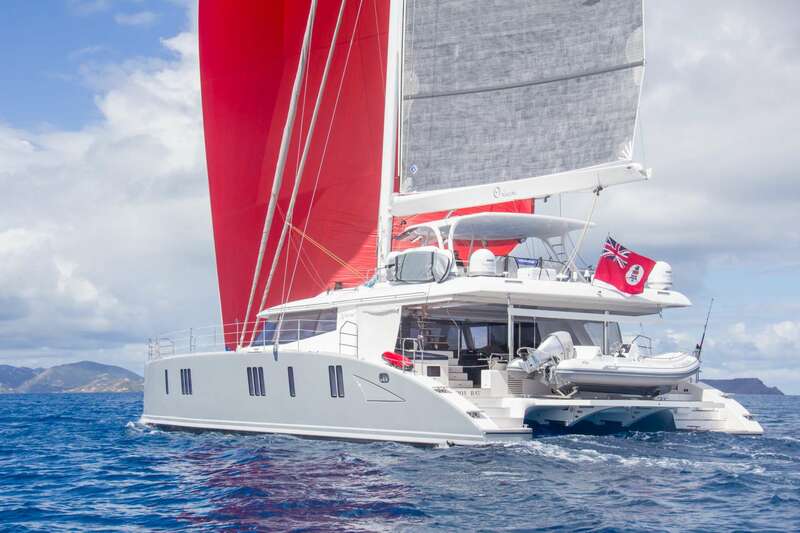 A remarkably elegant and chic Sunreef 74 sailing catamaran, she delivers supreme comfort in the most luxurious of surroundings for divine summer sailing holidays in the Mediterranean and exceptional winter yachting getaways in the Caribbean. 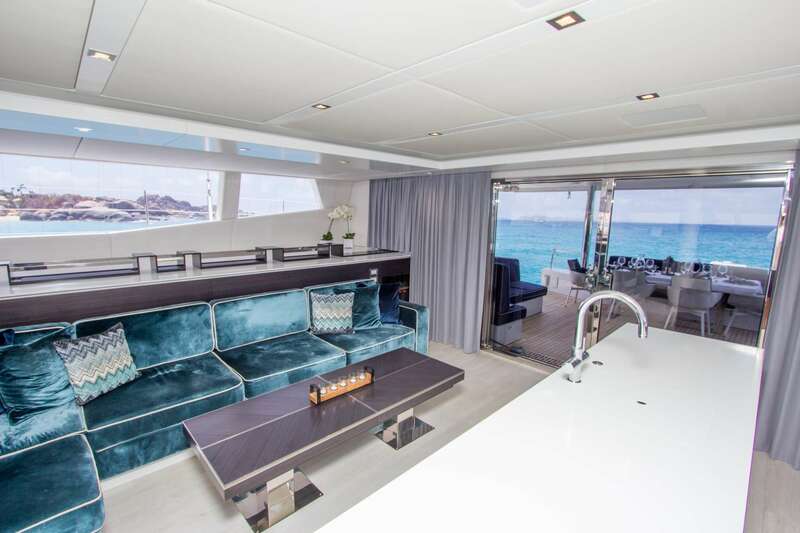 The picture of contemporary European design, ORION’s interiors incorporate streamlined furnishings, high-end materials, elegant colour touches and stylish accents that emphasize a feeling of timeless elegance. 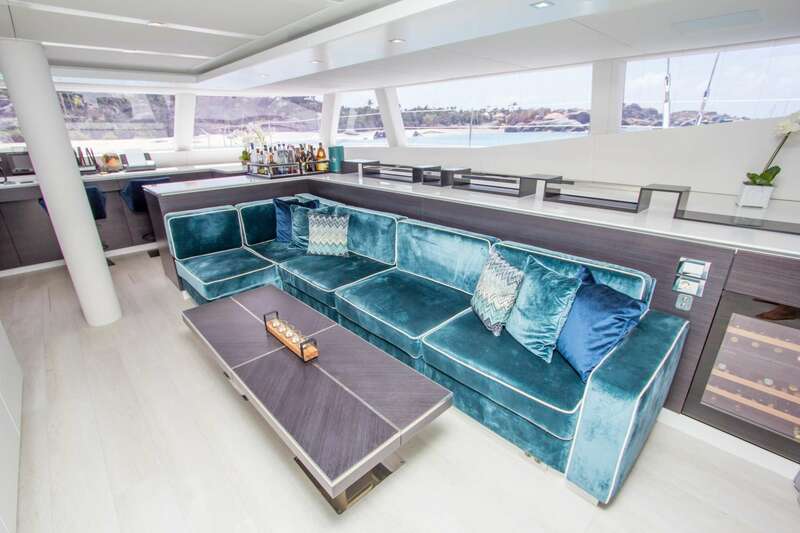 The yacht’s interior main deck area combines a fully equipped galley, designed in white, with a spacious saloon featuring a comfortable seating area with dark turquois velvet upholstery and a coffee table convertible into a large dining table for 8 guests. 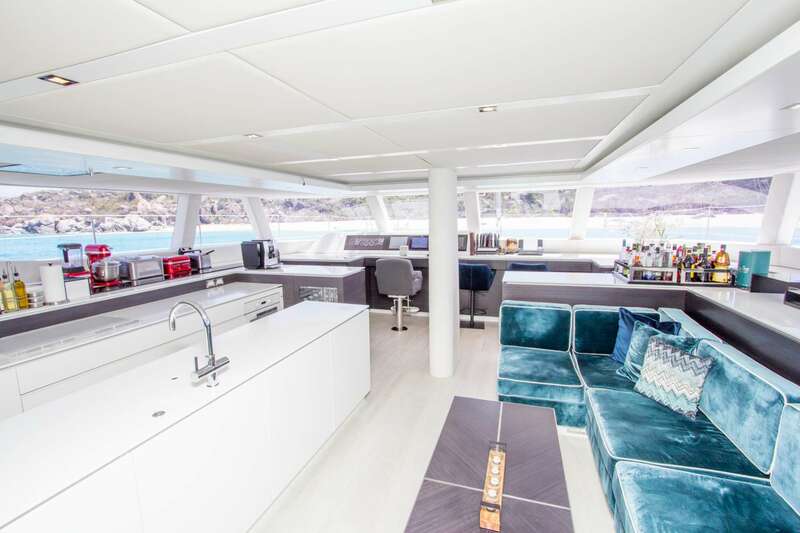 Displaying an exemplary use of space, generously-sized living areas on board ORION are truly impressive. 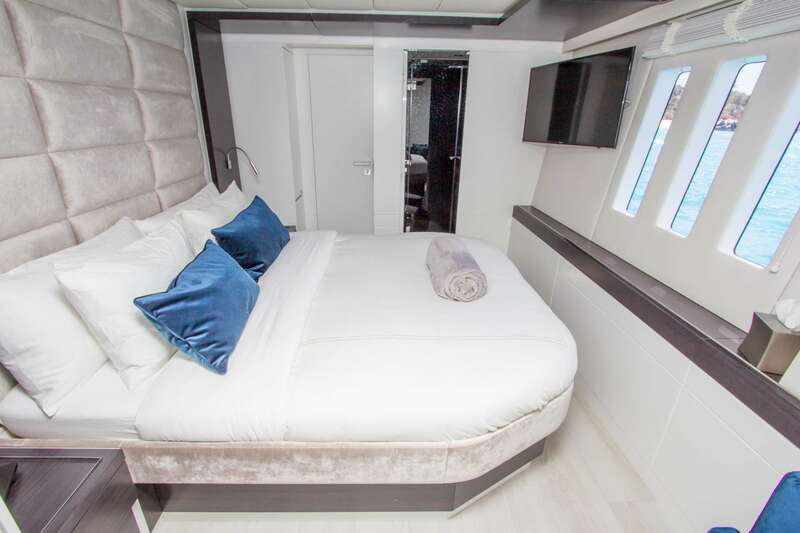 The yacht features 4 double staterooms with sophisticated interiors dominated by a palette of white and dark blue colours in the starboard hull and a combination of white and turquois in the portside hull. 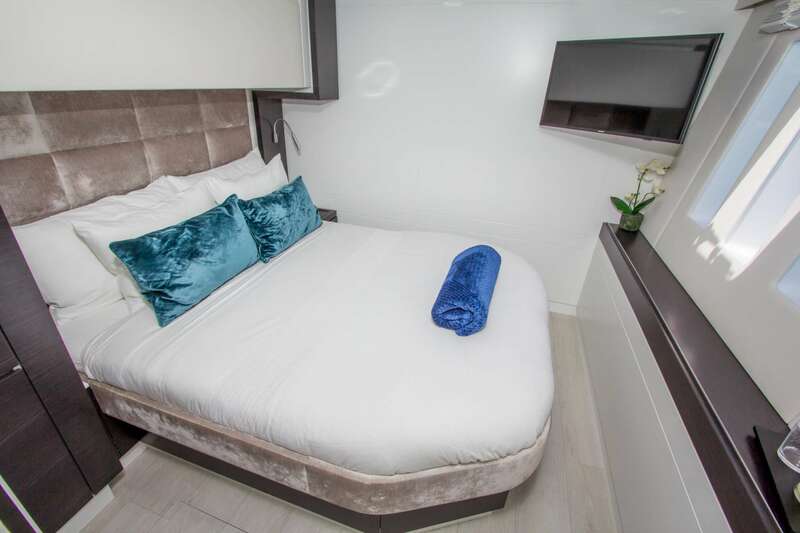 With natural accents of dark oak wood, the cabins reflect a soothing ambiance, perfect for relaxation after a day filled with charter excitement. 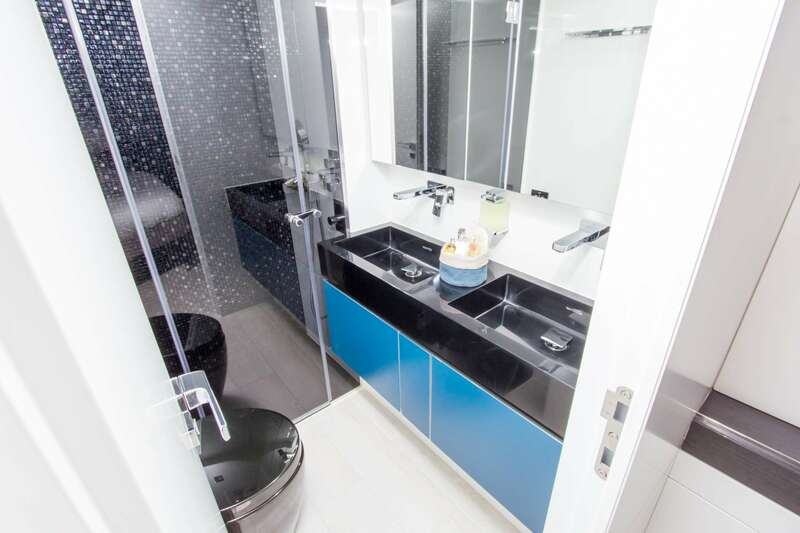 Additionally, ORION offers 1 single port forepeak cabin with direct access to the front guest cabin, which is a perfect solution for parents with a child. 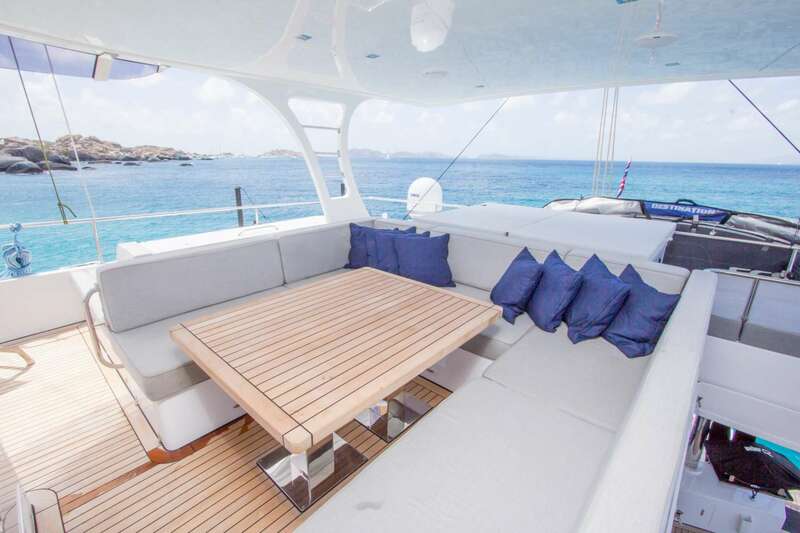 Moments spent out on the deck areas of charter yacht ORION are ones that are sure to be relished. 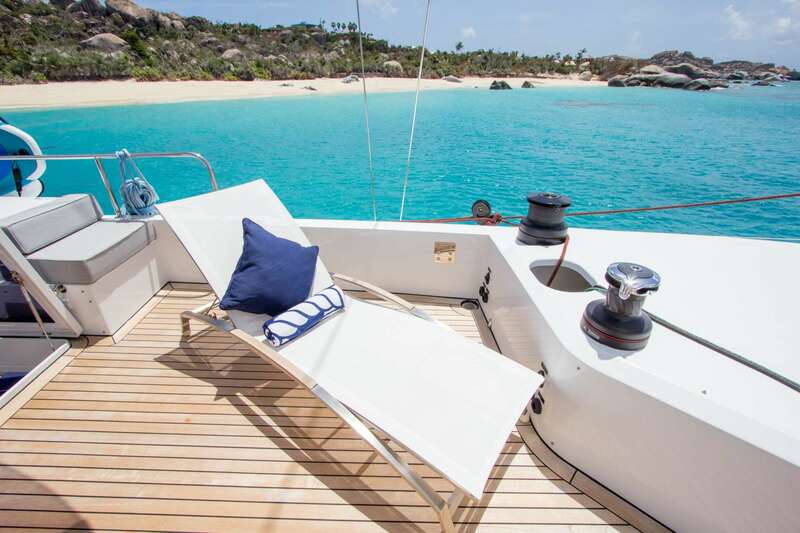 Guests may enjoy refreshing saltwater ocean sprays while soaking up sun-kissed bliss lounging on her forward trampolines or relax in the shade while taking in spectacular vistas on her impressive flybridge, richly equipped with a jacuzzi, a convertible dining table. 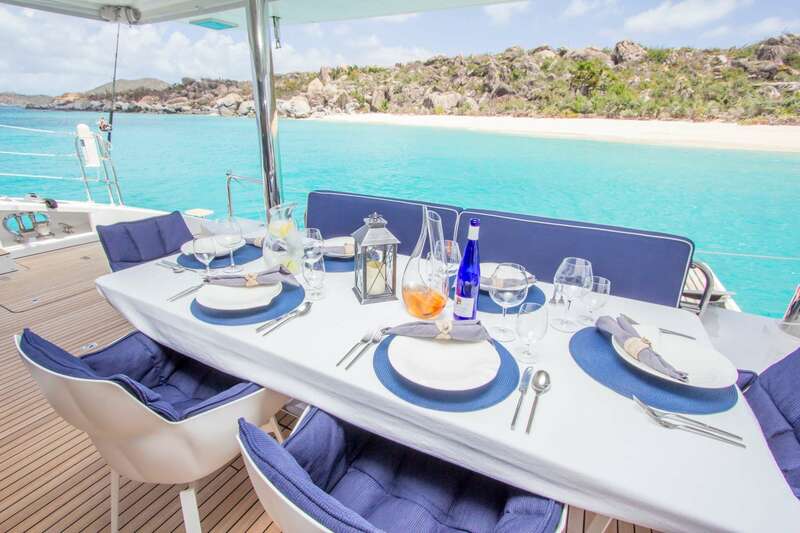 The aft deck, equipped with starry sky lights forming a constellation of ORION, also beckons pure delight whether watching the sun set with an aperitif in hand or while being spoilt with gourmet delicacies expertly-prepared by the yacht’s passionate chef. 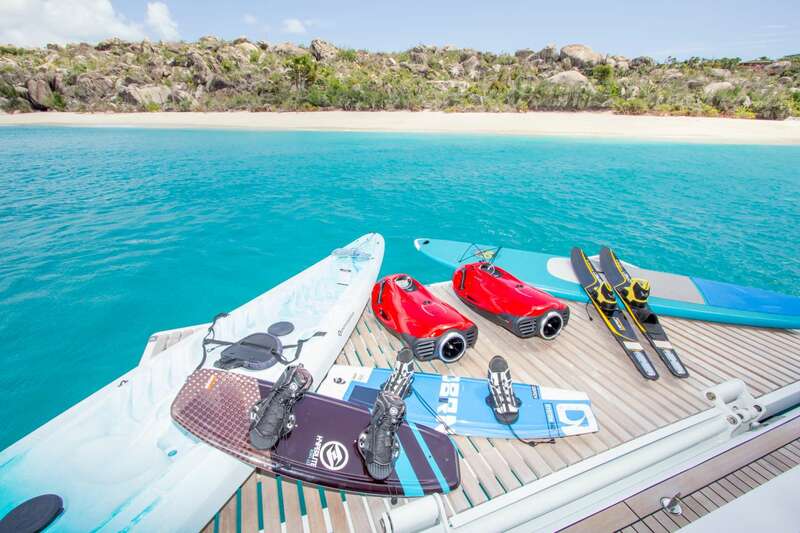 All enthusiasts of active outdoor activities, regardless of their age, will find ORION’s rich selection of water toys and sports equipment highly satisfying. 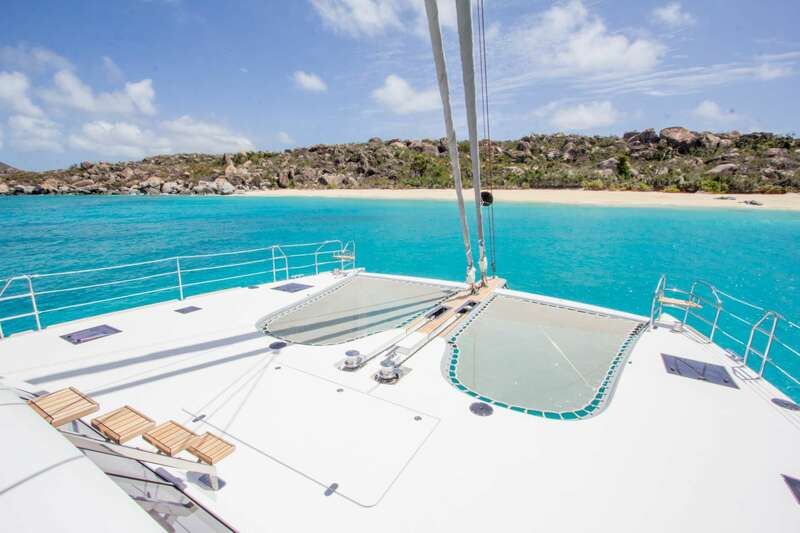 Ranging from kayaking, water skiing, paddle and surf boarding to snorkelling (rendezvous-vous diving only), there is a suitable fun water activity for every taste. 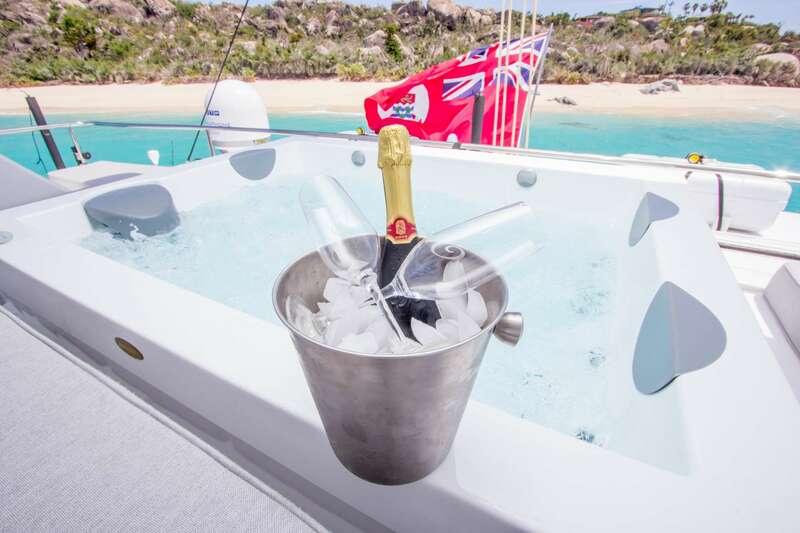 Enticing guests to savour special moments with friends and family and enjoy life to its fullest, while being attended by a professional crew of 4, a private yacht charter vacation on board the incomparable luxury catamaran ORION is guaranteed to exceed expectations from the very first welcome aboard to the final farewell. 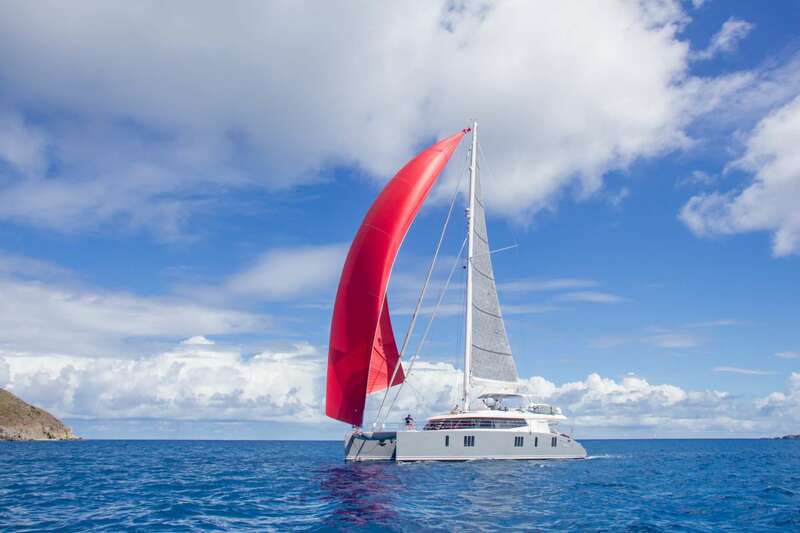 A professionally qualified captain with 13 years of experience, Gregory is a lifelong sailor with extensive experience in the yacht charter industry. In addition to his maritime background, captain Gregory is skilled enough to repair and maintain most onboard systems. Apart from sailing and various water sports, he is passionate about archery and motocross. A great host, he welcomes you on board ORION for an unbelievable journey with his wonderful crew. Consumed with sailing, hospitality and cooking, Vanessa has been successfully working in the tourism sector for 13 years. Talented and creative, she adores cooking and always looks for fresh healthy local produce whenever possible. 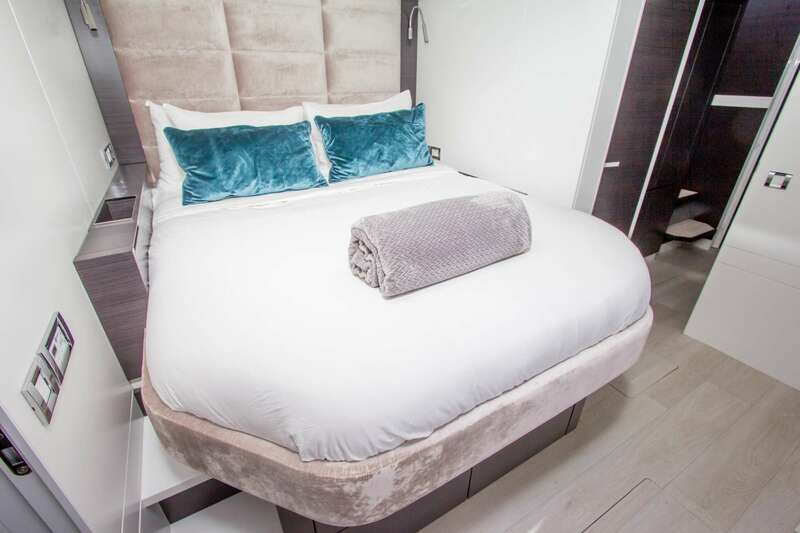 Vanessa derives her culinary inspiration from extensive travelling throughout the world and enjoys creating elegantly prepared dishes rich with flavours and fresh ingredients. 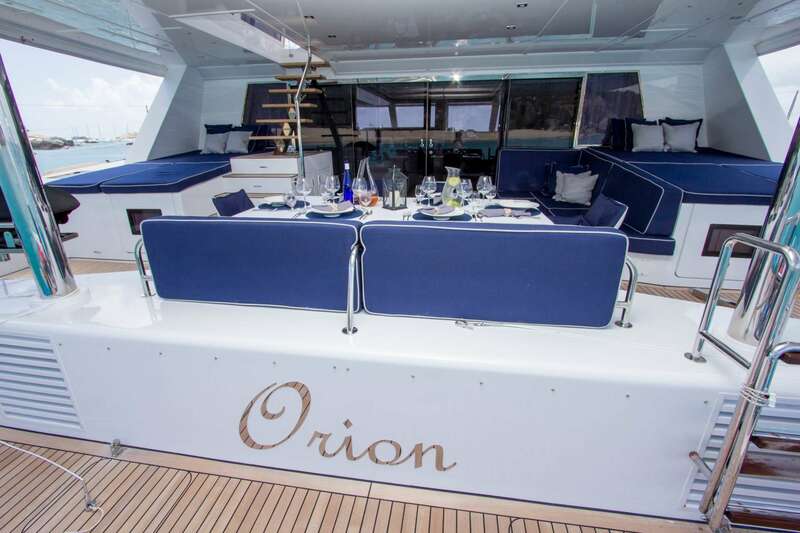 Her passion for making guests happy and an extensive background in tourism make your vacations onboard ORION an experience of a lifetime. Amanda makes up the third part of the crew and is the all-round help on both interior and exterior. Active and easygoing, she is motivated to constantly improve and expand her experience in sailing and hospitality she thrives in and loves. Paddleboarding, kayaking, surfing and exploring new places take up most of her free time. 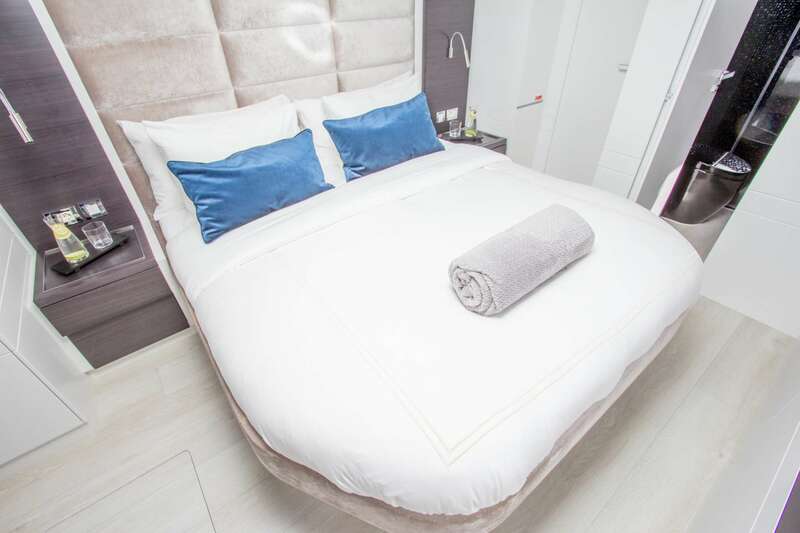 Friendly and helpful, Amanda will ensure that your stay is pleasant and fun.